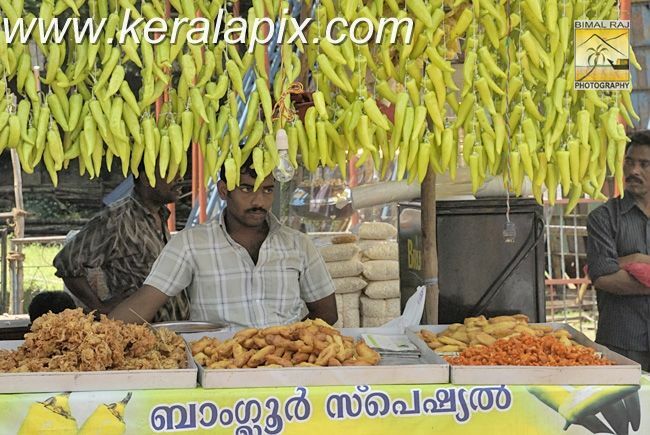 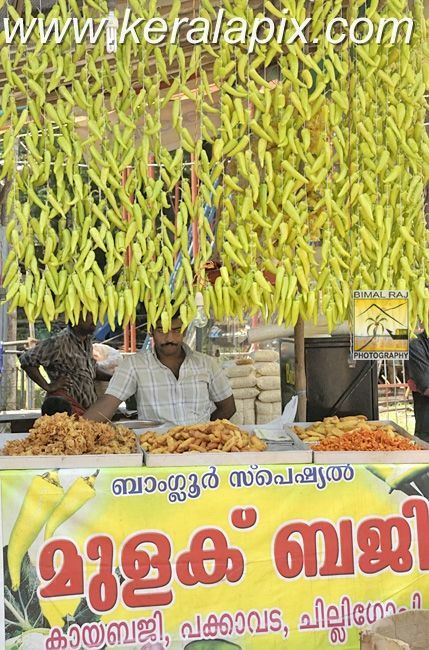 Local fast food shop at Onam festival ground at Tripunithura, Kerala specializing in different kinds of Pakodas and Baji food items. 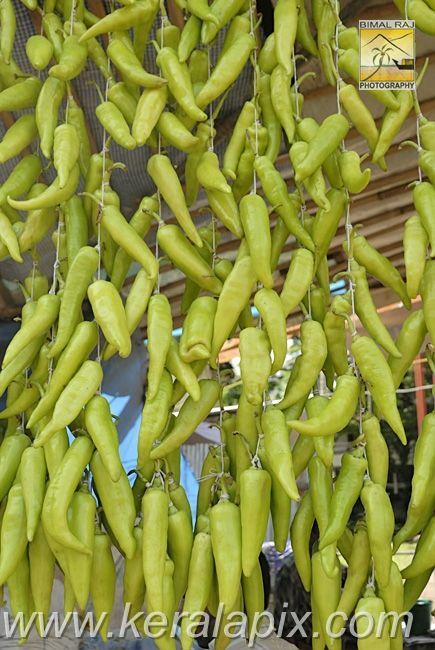 Hot green chillies displayed in front of the shop to be cooked. 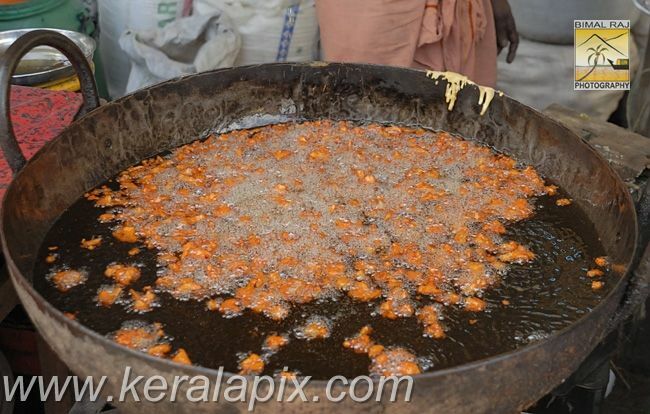 Spicy Chilli Gopies cooked in a large metal pot filled with boiling cooking oil. 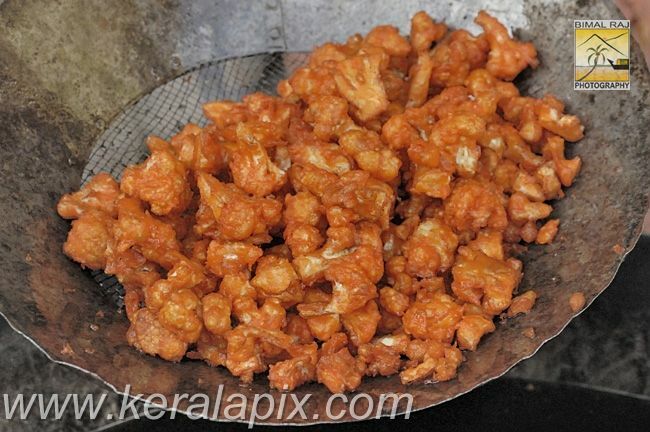 Drained Chillie Gopies after frying. 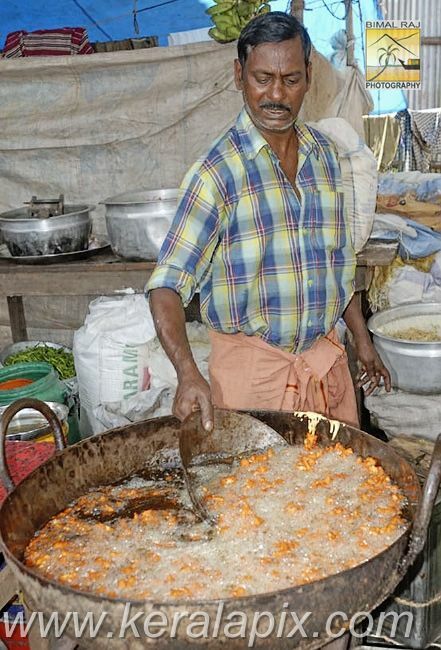 Chilli Gopies ready to be served. 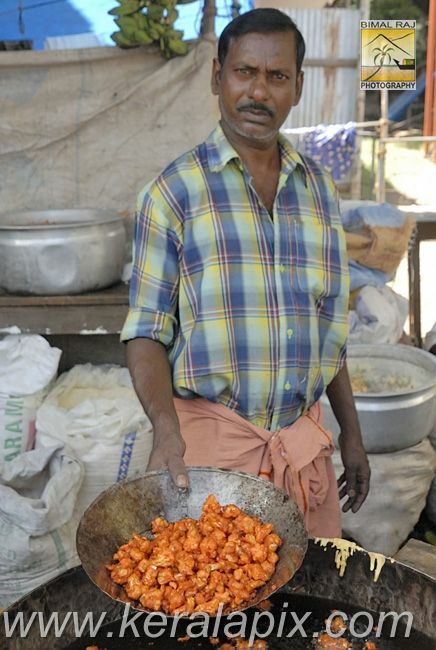 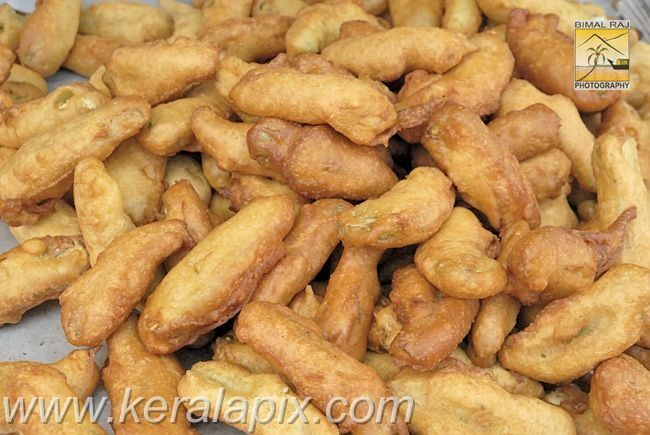 Hot Chilli Bajis - It's a snack dish made of chillies immersed in a batter made of gram flour, chilli powder, salt, tamarind and asafoetida powder. 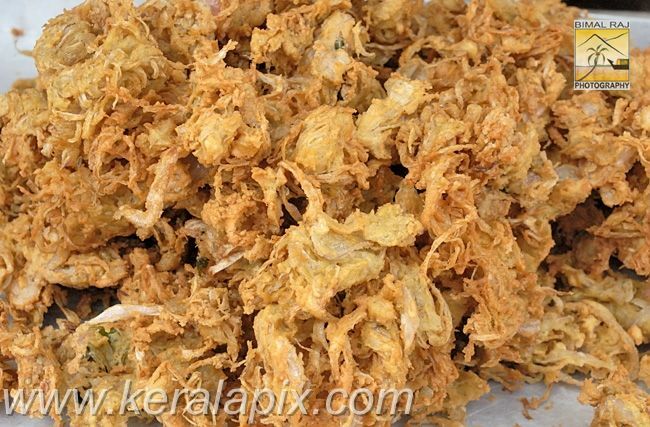 Onion Pakodas - Dish made of big onions soaked in batter made of chickpeas flour, chilli powder, salt, ginger and curry leaves.